DALLAS–(BUSINESS WIRE)–Siepiela Interests and Taylor Duncan Interests, two experienced Dallas-based developers have teamed up to strengthen their impact in Texas residential real estate. The result is a new entity, Allegiant Realty Partners, and a series of acquisitions over the last year representing over 2,200 acres and 5,500 lots at build-out in the Austin and DFW markets. “We realized that by combining our experience and utilizing the strengths of both companies, we could raise the bar to build a brand for innovative, large-scale, master-planned communities,” said Jim Siepiela, Partner, Allegiant Realty Partners. The initial phases of the five master-planned communities currently under construction will deliver approximately 1,000 new home sites in 2015 or early 2016. In DFW, ArrowBrooke is a 410-acre master-planned community in Denton County with 1750 lots and Bozman Farms is a 600-acre master-planned community in Wylie with 1285 lots. Austin-area projects include Caliterra, a 600-acre master-planned community in Dripping Springs with 580 lots; Crosswinds, a 445-acre master-planned community in Kyle with 1,400 lots and a 179-acre master-planned community in Leander with 515 lots. 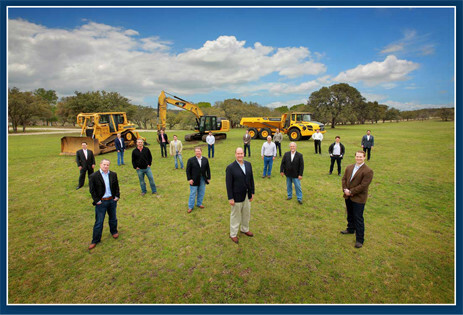 Established in 2013, Allegiant Realty Partners (Allegiantrealtypartners.com) brought together two longtime DFW land development companies to expand their development footprint across other high growth housing markets. Siepiela Interests (Siepiela.com) was formed by its principals James A. Siepiela and Gregory L. Rich in 1987 as a diversified development company concentrating primarily in residential land development as well as light commercial/retail and multi-family development. The Siepiela Companies have been involved as the primary developer on more than 5,000 lots in Dallas/Ft. Worth including 11 of the suburban cities of DFW, Austin and other Texas cities. Taylor-Duncan Interests (Taylorduncan.com) was co-founded in 1992 by Larry R. Taylor and Phillip W. Duncan. Spencer M. Taylor joined the company in 2006 and is the firm’s newest partner. The company focuses on land development and investments, with a primary emphasis on residential lot development. Taylor-Duncan and its related affiliates have developed thousands of lots in the Dallas-Fort Worth and Austin, Texas markets and as well as in Nashville, Tennessee. TDI is currently involved in the development of numerous new communities located in the Dallas, Austin, San Diego and Nashville markets and have several more in the planning stage.